Marbella condo in the small Oceanside town of Surfside is true to its’ name to a tee, Bella. 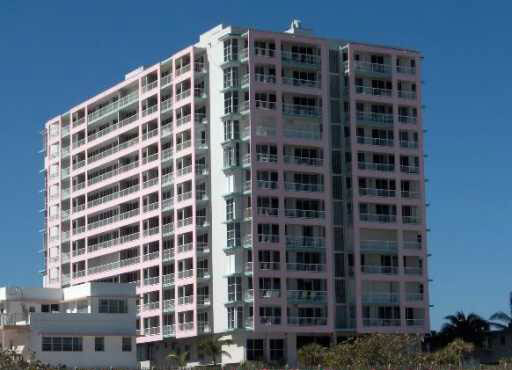 This condominium was built in 1989 and has 88 residences at 9341 Collins Avenue. There are only 4 residences per elevator, which allows for greater privacy and it is directly on the Atlantic Ocean. Marbella has all of the amenities you will find in South Florida condominium living, while still being considered a Boutique building. It has a luxury swimming pool, Jacuzzis, fitness facility, library, events room, and 24 hour security with valet. Since there are only 4 residences per floor, these units are more aptly considered townhomes. Residences are available in 2 and 3 bedroom floorplans, and all are spacious and place the focal points to the stunning water and city views. The ocean at this area of the beach is one of the most pristine and well maintained, it is virtually like living on your own private beach. Surfside was officially incorporated in 1935 and it has a population of roughly 5,800. Whether you choose to live in a single family home or condominium, you will no doubt enjoy the relaxed atmosphere and pedestrian friendly business district with cafes and boutiques in art deco style. Located on the northern end of the island of Miami Beach, Surfside runs from 88th Street to 96th Street of Collins Avenue. Miami Beach is directly to the south and Bal Harbour to the north. Streets are named for famous writers such as Dickens and Byron, and it has a charm that few can deny. Bal Harbour is in walking distance and holds some of the best shopping in all of South Florida including Harry Winston and Gucci. Dining in Bal Harbour and Surfside range from casual to gourmet and are destinations in their own rite with some of the nations leading chefs choosing to open restaurants in these districts. This quaint beach town is centrally located and its’ real estate is desirable for all the above reasons.